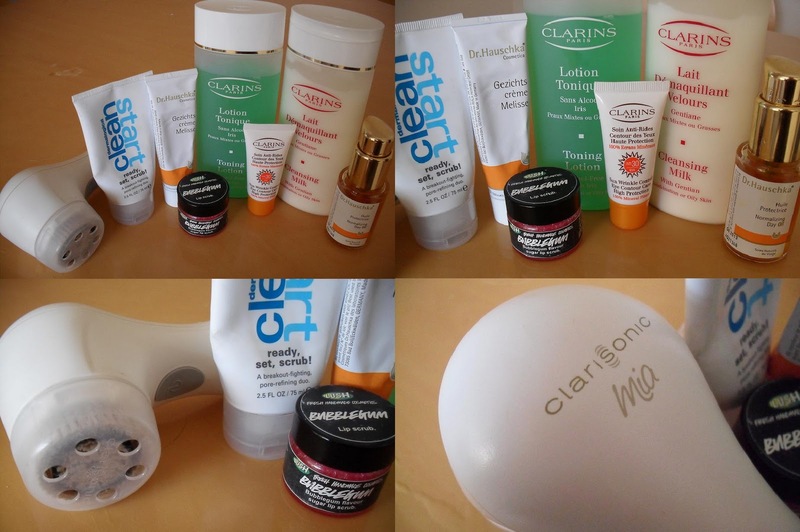 daily cleansing: i use clarins cleansing milk on my clarisonic mia, followed by their toning lotion on a cotton pad. moisturiser: i use dr hauschka melissa day cream, as i’ve used it for a little while and it’s perfect for my really sensitive skin. thank god, i was sick of hunting for my HG product! eye cream: i use clarins spf30 eye contour cream twice a day, i think it works really well. nighttime: i do the above cleansing routine and then i mix two drops of dr hauschka normalizing day oil with my moisturiser. i know it’s ‘day oil’, but it takes quite a while to sink in and i always get up too late. plus, i like how it leaves me with really nice looking skin in the morning. i also use lush’s bubblegum lip scrub followed by whichever lip balm i find first, either MAC or kiehl’s. twice a week treatments: i use dermalogica ready, set, scrub! to exfoliate a couple of times a week, it’s really good and you can definitely feel the difference without it being too rough. i also use lush’s catastrophe cosmetic face mask, i love it, my skin looks unbelievably clean when i use it.